I do admire the calmness of the TV News Presenters who are set up near Parliament with folks shouting loudly at them in the background .. they still manage to focus on delivering their script to camera and interviewing their guests. Moving on .. Why didn't I recommend this? Loads of hype around and I did test a review copy. You've got to realise that some of the folks emailing about it don't care if it's that good (and probably haven't tested it) ... they just want to make money as an affiliate via slick copy. They use lines like 'ScreenFlow/Camtasia Killer' 'I used to recommend X last week now I don't' 'Game changer' 'Make money easily with video and this tool' and so forth. From my 20 mins test the software is lightweight compared to ScreenFlow or Camtasia, it's actually not too bad with a couple of nice features (like in built animated emojis) and it does work technically from my short experience of using it. It might expand into something good over time but right now for me it lacks so many deeper features of properly formed Editors / Screen recorders. If you bought 'Create' and like it .. let me know .. tell me why I am wrong! Folks get attracted to deals like this because it's cheaper, and they think simple is always better .. when IMO really they need to invest in a solid Editor .. sweat a bit to learn it and once they've cracked it .. focus on making better Videos and getting their message across. The long term ROI of Video far exceeds the cost of spending a bit more on Editing Software that will be your best friend for years. Hint: Video Hero Members get ScreenFlow Universe training (mac) and Camtasia 9 for PC training included. See here. Having visited Yosemite a few years ago (I was blown away by it!) .. 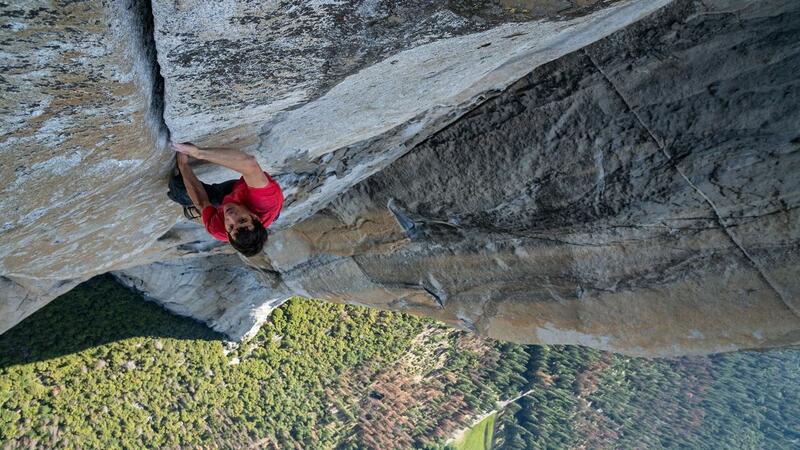 I have now watched 'Free Solo' twice. It's interesting to see the camera crew playing a narrative role in the film and their deliberations on how they might cause Alex to lose focus by their actual presence ... and end up filming him falling through the frame.